A jewel of hospitality nestled in the heart of Kentucky’s bluegrass, the center of the Thoroughbred industry in the United States, Keeneland Racecourse would seem to be the perfect spot for one of the sport’s premier events, the annual Breeders’ Cup, created by some of the people who own the breeding farms that surround the track in Lexington. Yet in the event’s 30-year history, it had never been held at Keeneland. Famously intimate, the track can accommodate comfortably only about 25,000 people. Keeneland was also an early adopter of and investor in Polytrack, a synthetic racing surface shown to result in fewer catastrophic injuries to horses. In 2006, the track replaced its dirt surface with Polytrack, and following a 2008 Breeders’ Cup on Santa Anita’s synthetic surface in which US-based dirt horses fared badly, sentiment increased that synthetics, which often play more like grass than dirt, were not a fair surface on which to run races that often determine championship honors. In April 2014, Keeneland announced that it would take out its synthetic surface, even though its installation had resulted in fewer breakdowns and higher betting handle. 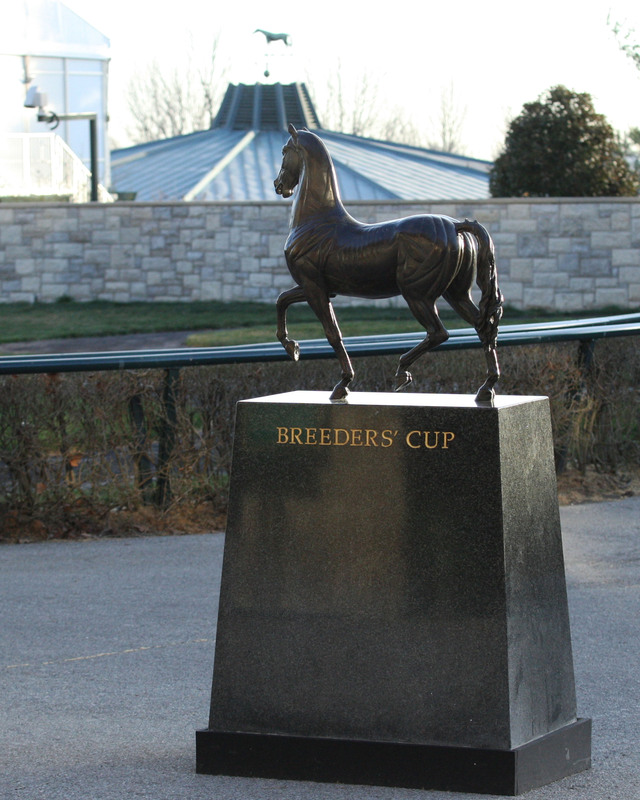 Two months later, the Breeders’ Cup announced that the track would be its 2015 host. And then preparation began to expand a facility so that it could accommodate two to three times its usual crowds.